The Afon range of bathroom pottery with its offset tapered rims styling giving unusual instant individual design to any bathroom. Within this bathroom range we have wall hung wash basins, deck mounted washbasins as well as back to wall toilets and bidets and wall hung toilets and bidet plus a more traditional close coupled toilet and cistern systems. 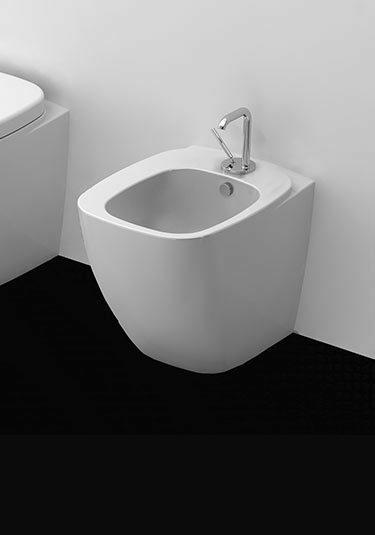 Beautifully designed wall hung wash basin has a sleek tapered top rim allowing a beautiful design theme to wall hung bathrooms. 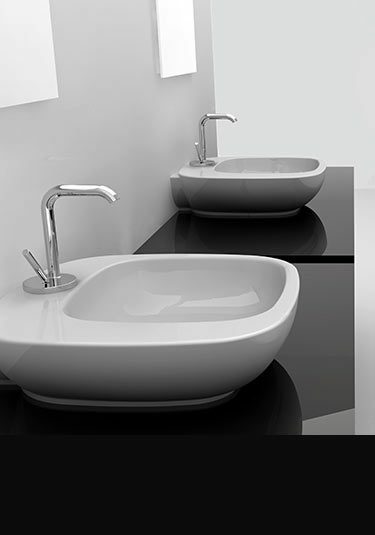 A contemporary counter top basin with a tapered top rim, is a nice design feature for a themed designer bathroom. 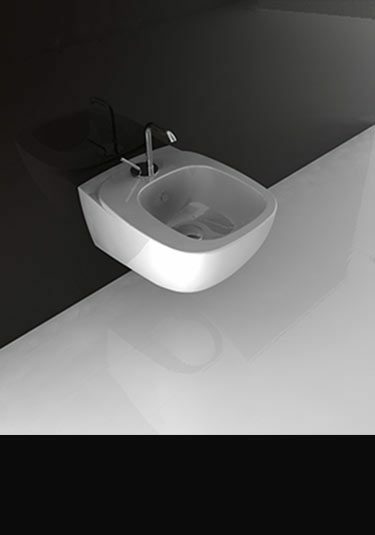 Italian contemporary designed back to wall toilet that fits flush to the back of the wall. 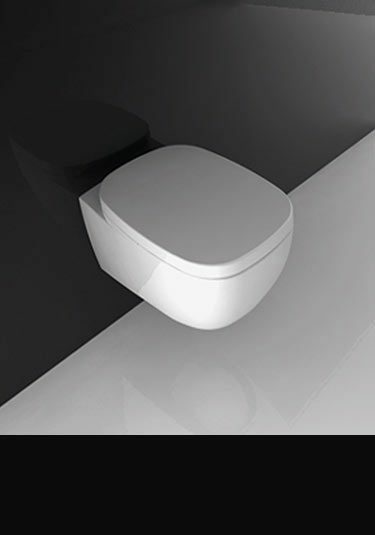 Each toilet is supplied with a smooth action soft closing seat. 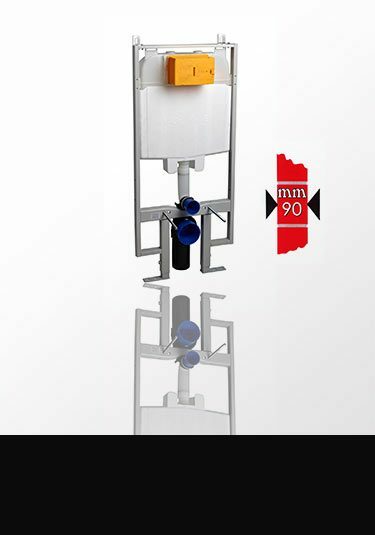 A wall hung Italian toilet with a smooth motion soft closing seat. 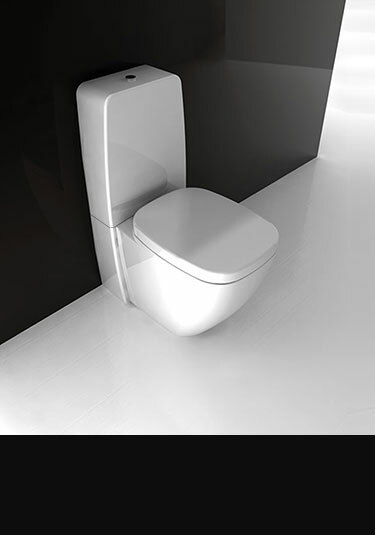 This simply designed toilet is contemporary design at its best. 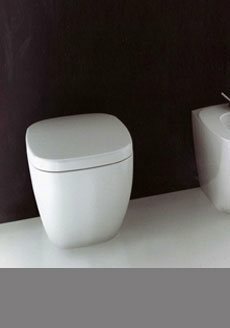 A lovely styled Italian toilet with a combined close coupled cistern, adds simple unfussy contemporary design to bathrooms. 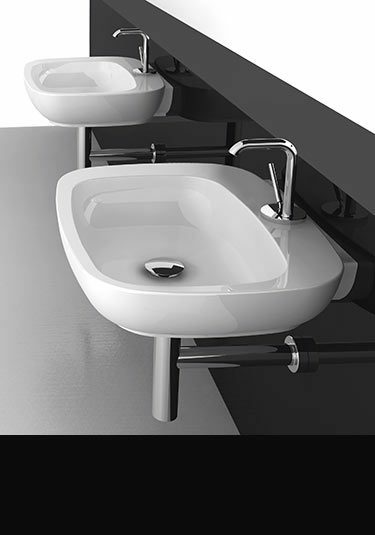 A lovely styled wall bidet with a taped top rim giving a visually attractive design feature to designer bathrooms. A lovely styled floor standing bidet with a taped top rim, gives a visually attractive design theme to designer bathrooms.